Hello. Nootropic Geek here, internet nerd & brain enthusiast. Is your brain farting all the time? Is your brain constantly forgetting things, driving you crazy?? Think there’s no answer? You’re so stupid: There is! Mind Lab Pro & Neuro Optimizer. Finally, there’s an elegant nootropic stack to get your brain working in tip-top shape. Is your problem memory-related? 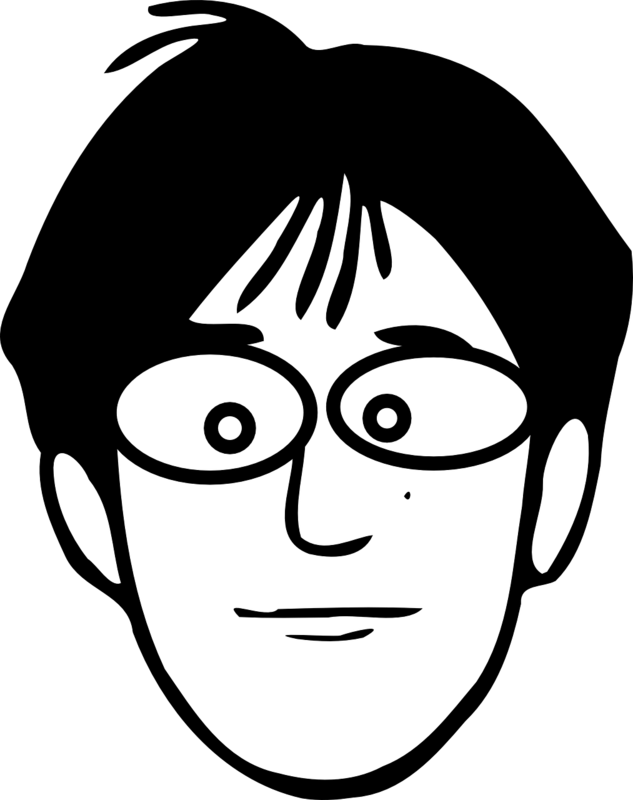 Energy-related? Focus-related? Doesn’t matter. Because this nootropic stack is universal. MEEOOOWWW. Which nootropic stack am I talking about? Mind Lab Pro or Neuro Optimizer? Keep reading the review to find out! Mind Lab Pro or Neuro Optimizer: Which is better? First things first: Dat Citicoline doe. On both sides, supplied as Cognizin®, the leading brand of Citicoline, one of my current nootropic favorites. The fact that both products supply this nootropic powerhouse can mean only good things. Every Ingredient is High Quality. Mind Lab Pro claims the “Universal Nootropic” title and earns it with its all-nootropic, all-bioactive formula that addresses 6 important brain pathways: Energy, Chemicals, Bloodflow, Brainwaves, Neuroprotection, and Regeneration. The synergy-within-synergy design of Mind Lab Pro’s ingredient selection ensures that every cog in cognition keeps turning, resulting in fully optimized brain power. And most impressively, it does this with completely natural ingredients. Read my in-depth review on Mind Lab Pro. Both Mind Lab Pro and Neuro Optimizer have Citicoline (as Cognizin), but Neuro Optimizer has more Citicoline. And that’s not even its highest dosed ingredient. Good. The 3 higher dosed ingredients require the higher dosages in Neuro Optimizer. Bad. Those 3 ingredients aren’t necessarily nootropics. They’re amino acids that may have cognitive effects, but primarily for elderly cognition. Take for instance Acetyl-L-Carnitine (or ALCAR), which is largely viewed as a mental energizer, but only under conditions of age-related mental decline. Likewise, the ingredients below Citicoline (Phosphatidylserine, Phosphatidylcholine, Alpha Lipoic Acid) are great for brain health, but are particularly advantageous to ye olden folk. Younger men & women may benefit from Neuro Optimizer, however they won’t receive all of its benefits (at least not for some years). Read my in-depth review on Neuro Optimizer. 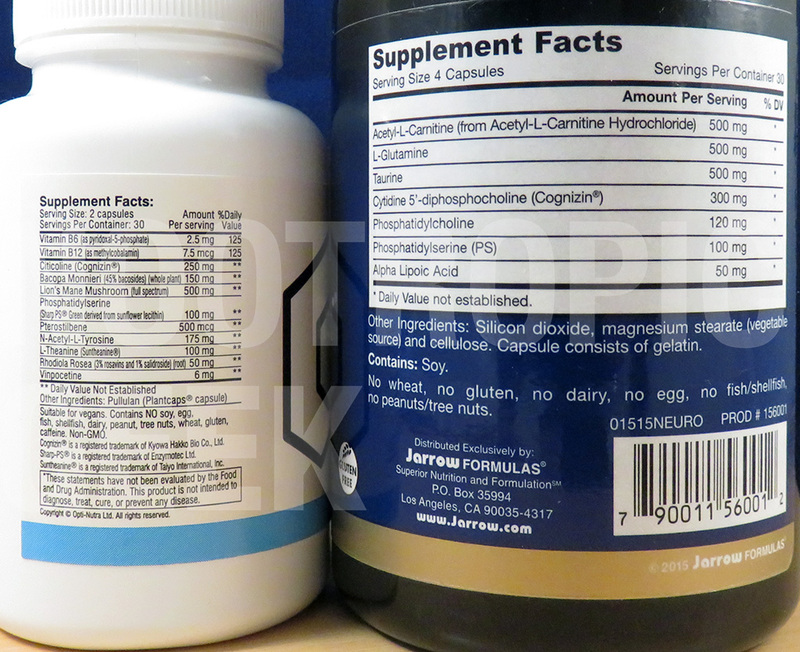 Two ingredients unite these formulas: Citicoline & Phosphatidylserine. The remaining ingredients are unique to each formula (not entirely unique, but relatively so… you get it). I’m only counting ingredients are both unique and of exceptional quality. B Vitamins. P-5-P is the right form of Vitamin B6 (not that cheap Pyridoxine HCl). Methylcobalaimin is the right form of Vitamin B12 (not Cyanocobalamin). Bacopa Monnieri Extract. Potent extract of Ayurveda adaptogen Bacopa, an anti-stress memory enhancer particularly geared towards academic activity. Lion’s Mane Mushroom. Full spectrum of Lion’s Mane, a neuroregenerative fungus that works by promoting nerve growth factor (NGF). Pterostilbene. More bio-active antioxidant than popular Resveratrol. Pterostilbene & Resveratrol serve decent neuroprotection, but Pterostilbene may have nootropic effects. N-Acetyl-L-Tyrosine. NALT is the “active” form of Tyrosine, an anti-stress amino that helps secure focus during conditions of stress (e.g. exam day). Suntheanine® L-Theanine. Quality brand of an all-time nootropic favorite: L-Theanine, the relaxing, focus-boosting agent of green tea. Rhodiola Rosea Extract. Mind-body adaptogen Rhodiola in a well-researched extract form, standardized to 3% rosavins, 1% salidroside. More Citicoline. Mind Lab Pro has 250 mg of Citicoline, but Neuro Optimizer has 300 mg. Quick math tells me that that’s 50 more milligrams. Acetyl-L-Carnitine. ALCAR is the right form of Carnitine for brain health, given ALCAR’s ability to cross the blood-brain barrier (regular L-Carnitine can’t do this). Alpha Lipoic Acid. Referred to as the “universal antioxidant” for its general resistance against free radical damage. May have neuroprotective value. 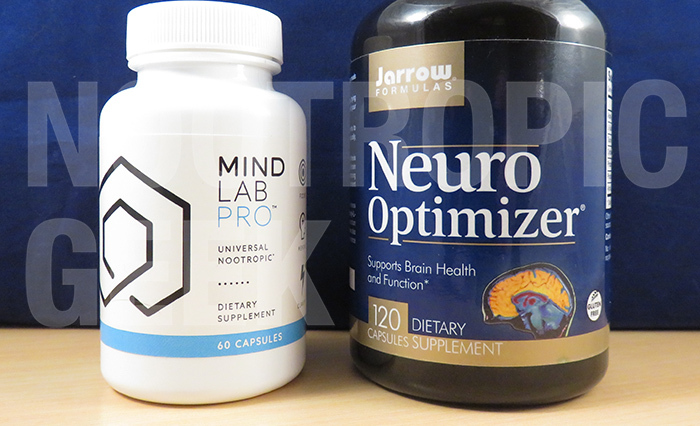 The ingredients shared between Mind Lab Pro and Neuro Optimizer are in premium form & potency, which speaks higher of Mind Lab Pro than it does of Neuro Optimizer (although I’m still giving props to Neuro Optimizer for supplying them). Citicoline (Cognizin) & Phosphatidylserine (Sharp-PS) are the two best, most potent, highest quality nootropics in Neuro Optimizer’s formula, but they’re only two ingredients in Mind Lab Pro’s highly potent, high quality formula. Every ingredient in Mind Lab Pro’s stack is high quality, delivering highly potent bio-effects. In fact, there’s not one ingredient on the list that I can say needs improvement, including the “Other Ingredients” (which simply has Plantcaps® capsules listed). Neuro Optimizer’s ingredients are good, and moderately potent, especially the ALCAR, which is on-point for brain health & energy. But its overall design, including the “Other Ingredients” (that have nasties such as silicon dioxide & magnesium stearate), lacks the polish & shine demonstrated by Mind Lab Pro. The difference in quality may explain the price disparity between these products. Mind Lab Pro is the universal nootropic. Mind Lab Pro doesn’t take the “shotgun spread” approach to elevating cognition, but rather the “pressure point” attack, setting its sights on various essential aspects of brain health & function. The result is a stack that may work for everyone, but in different ways, depending on each customer’s needs. This is why Mind Lab Pro is generally backed by positive customer reviews. Neuro Optimizer is best for elderly cognition. Neuro Optimizer focuses on pressure points as well, but only those that apply to elderly cognition. In some regard, I view Neuro Optimizer as a “Now-&-Later” nootropic: Take it now to benefit your brain later. But some of Neuro Optimizer’s benefits don’t seem to have any effect until later in life anyways. So you’d be just fine to wait until later to take this supplement. Mind Lab Pro covers all bases well. Neuro Optimizer covers some bases well. In a way, they’re almost a direct reflection of their prices: Between these two supplements, you get more if you pay more. Hell ya, capitalism, WOO! Yet, the fact that the best parts of Neuro Optimizer are also the only parts shared by Mind Lab Pro’s formula says it all. If it weren’t for Citicoline & Phosphatidylserine, I’d be very hesitant to call Neuro Optimizer a “nootropic”–in fact, I wouldn’t call it a nootropic. It’d be a simple brain health supplement.